Has anyone ever OD'd on playing the violin? So, I got to wondering tonight whether anyone has ever taken playing or practicing too far. 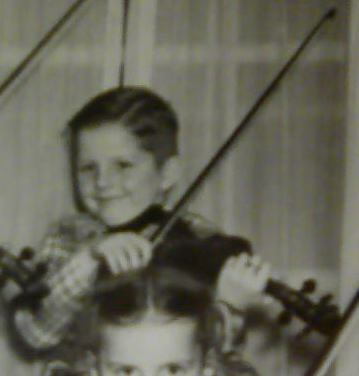 Are there any funny, or not so funny, stories out there about any fiddlers who let fiddling get the best of them? I mean, beyond the normal aches and pains. Just curious. I'm usually late for appointments coz of practicing that tune "just one more time"! Nero? I think Dennis posted a picture of his fiddle earlier. 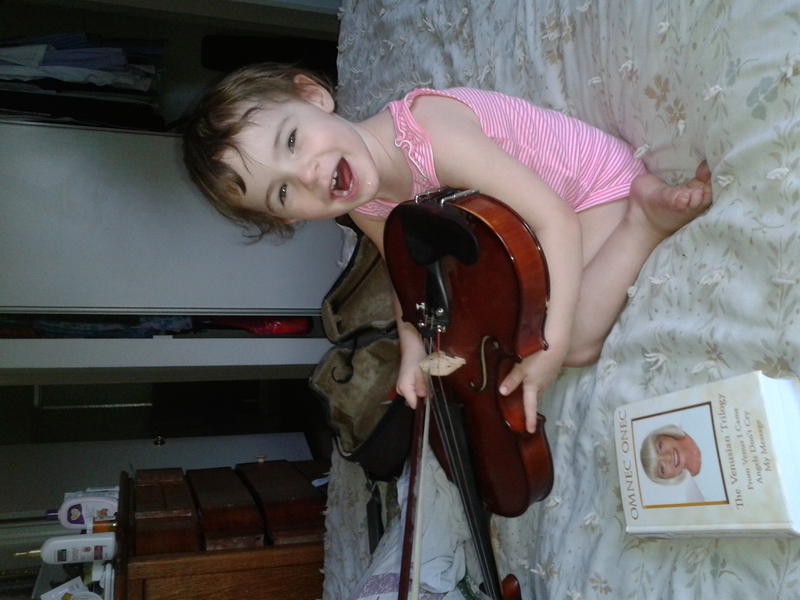 One morning last week I picked up my violin at 5:15 am and didn't stop practicing until 8:00 pm that night when the ball game was on. Well, I did put it down occasionally a few minutes at a time. I kept thinking of the song my Grandfather used to sing when it was time for me to go to bed. "Give me Five Minutes More, Only Five Minutes more, Let me stay letme stay in your arm's ". He would play the violin and sing that song . One week after I bought my violin, I start to play at 10.00 AM until 6.00 PM then on the same day, I start again at 12.00 AM until 6.00 AM the next morning!!! can you believe that? I think there is devil on the violin where it makes me cannot resist my needs. 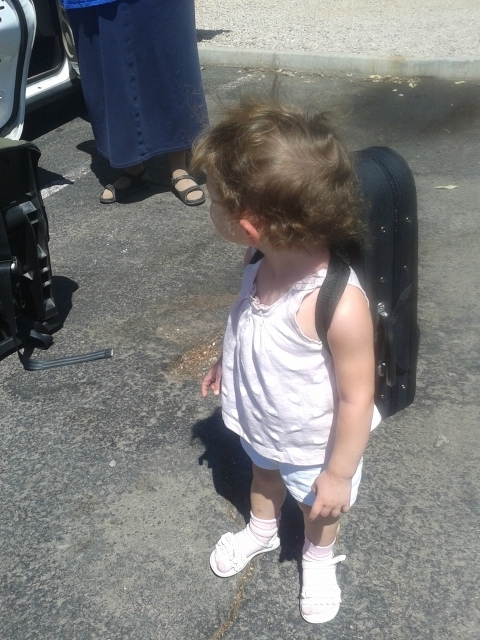 Yeah, beside eating, cloth and place to live, violin become another needs. I believe all of us here feel the same way. 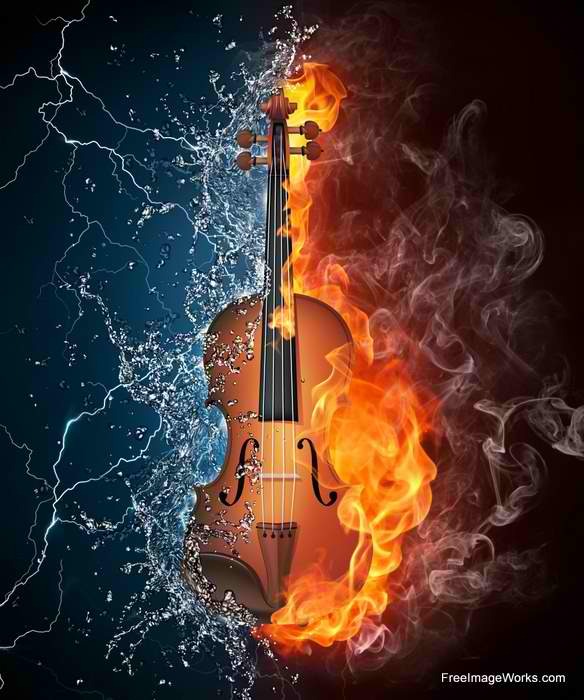 I think you're refering to the violin on fire HUH. I want to dress like the img under *what society think it is* and play my violin what a beautiful time it was for art and music! I'm about to OD on brandy and coke while practicing shifting scales from first to third position. All night! Coz my G/F has gone in a Hen-night. No, but they have become addicted to forums. I know about these things because I was addicted to Tetris. (I'm OK now). Yup, it's called "repetitive motion injury." Actually, the primary thing that keeps me from over-playing (with the exception of a little thing called "grad school") is the fear of stressing my hands and wrists too much. I know that feeling Oliver. Ps what was your high score? Though, i can't remember me practicing another instrument so much. If i had more hours in a day i'd spend them for violin... definitely. 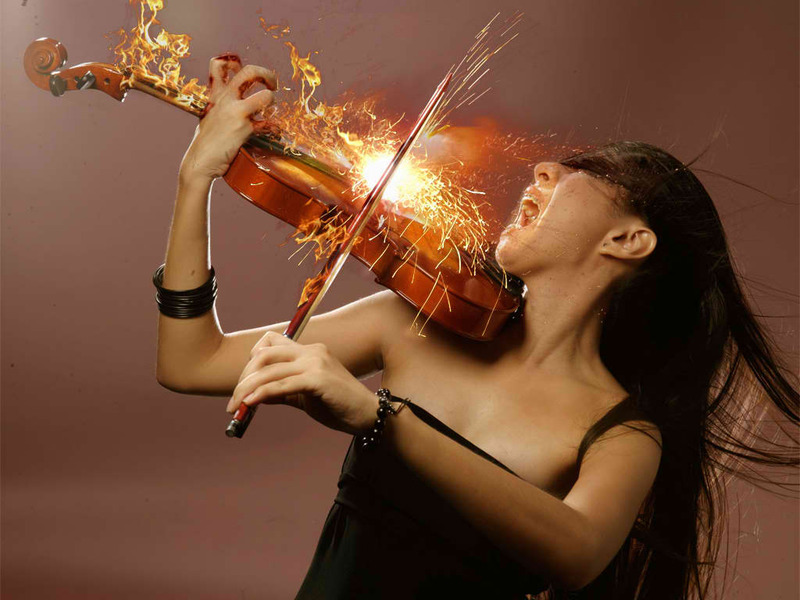 I dont know about ODing on the violin , But I do know you can go through withdrawl sysmptoms if your forced to go with out it for any length of time. Great thread, really enjoyed this one. "But of course, the more I play, the more tired I get and the worse I play." When I played in the Chandler Symphony Orchestra, I practiced at a minimum, 3 hours. This consisted of practicing etudes to develop technique, scales, LeClair sonatas (a project my teacher and I were working on together), and the music we were playing in a 3-month rotation in the orchestra. After I did that, I played a couple of pieces for my own enjoyment. Now, with the arthritis even worse, I can't approach practicing that long without paying for it the next day. Despite that, I now play for 30 minutes to an hour. I am working on Handel's Messiah, 1st and 2nd violin; and Sleeping Beauty waltz. My main purpose for practicing now is to encourage our granddaughter, 2 yrs old, to want to play. Typically, with each lesson which lasts 2-3 hrs a pop, I bring back plenty of homework. I have a 24/7 access to a warehouse space I own for work. So after we're all done, and everyone leaves (around 9-10pm,) I work on whatever the practice assignment I have. That typically lasts anywhere from 30 min to 2 hrs. Afterwards, I reward myself by playing whatever I want to play... which tend to be movie/game music. More often than not, that goes well into sunrise. I don't need to be back to work until around 3pm the following day, anyways. HDuaneaz, I like your way to motivate. Playing the violin around a youngster and playing music on the stereo or internet with the violin/fiddle included, even in the background is a fantastic way to motivate a person to want to learn to play the violin. Hope she gains interest.